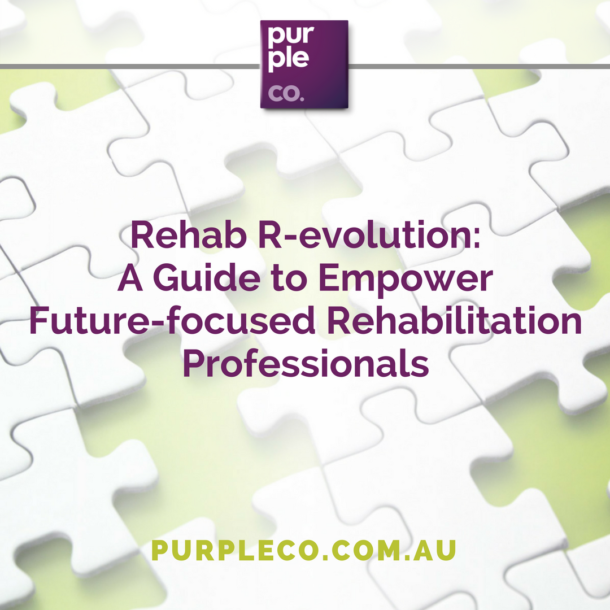 In my series of posts on the evolution of rehab, I explored how various approaches lead to very different outcomes for our clients. In particular, in my 20 years’ experience, prescriptive rehab that focuses on very rapid outcomes tends to have higher rates of recidivism. Obviously, this is no good for anyone involved. Poor flare-up management is at the core of this problem. The illnesses that our clients present with are now more chronic in nature, often with a natural pattern of relapse-remit rather than treatment –> cure. With this comes a high chance of flare-ups. The key to long term outcomes lies in providing our clients with the tools to manage these flare ups. Purple Co’s Fatigue & Energy Management Program has been developed to address the inevitability of flare-ups, helping clients to manage setbacks and maintain their hard-earned progress. For people with chronic conditions, a flare-up management plan is a crucial safety-net in their recovery process. For these clients, one of the biggest barriers in returning to work is the fear of “What if I can’t cope?” and a flare-up plan addresses this issue head-on. By helping people prepare for the inevitability of flare-ups (although the type and severity of flare-ups vary greatly between people and conditions, common examples include a sharp increase in pain, fatigue, or fluctuations in affect or mood) we nip the issue in the bud by reinforcing the idea that help is available. Now, our client has the tools he or she needs to manage hurdles without the negative self-talk, catastrophising and fear of activity that is so detrimental to progress. Flare-up management is a win-win situation. Even in the absence of flare-ups, when people are more confident in their ability to self-manage, they are more likely to step out of their comfort zone and consider work as an opportunity rather than a threat. And, if that flare-up does happen, they are prepared and equipped to keep moving forward. What conversations have you had with your clients about flare-ups?